Off to Birmingham? Yes Birmingham! 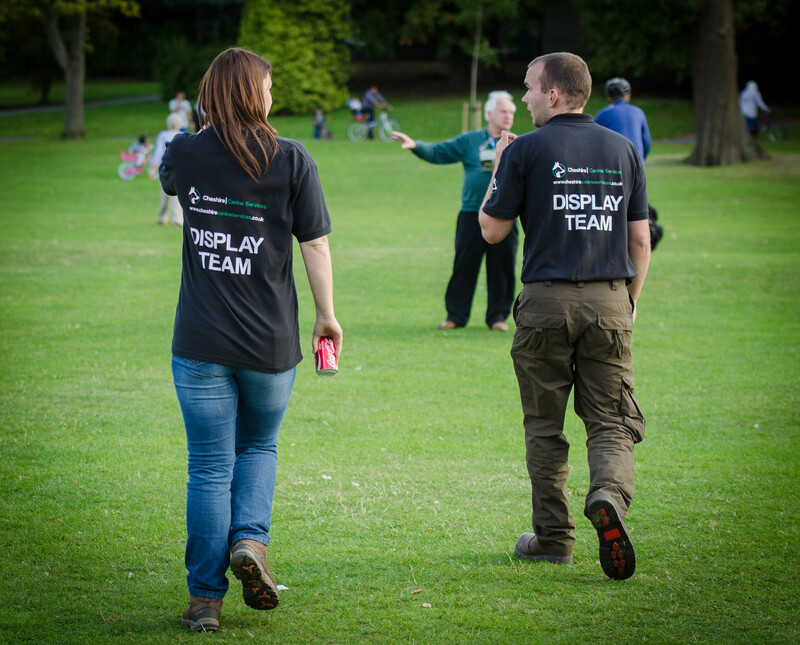 Last weekend Ash and I went to help Cheshire Canine Services at Bark in the Park, a fundraising event in aid of Retired West Midlands Police Dogs, held in Cannon Hill Park, Birmingham. It all started when Mike asked me if I knew anyone who would run Have a Go Agility… “Why don’t you do it.” I said… famous last words! We were all set to leave on Saturday morning, however on Friday I had noticed Guinness’ paw was all red and sore and on Saturday morning it was worse. I couldn’t leave it until Monday! 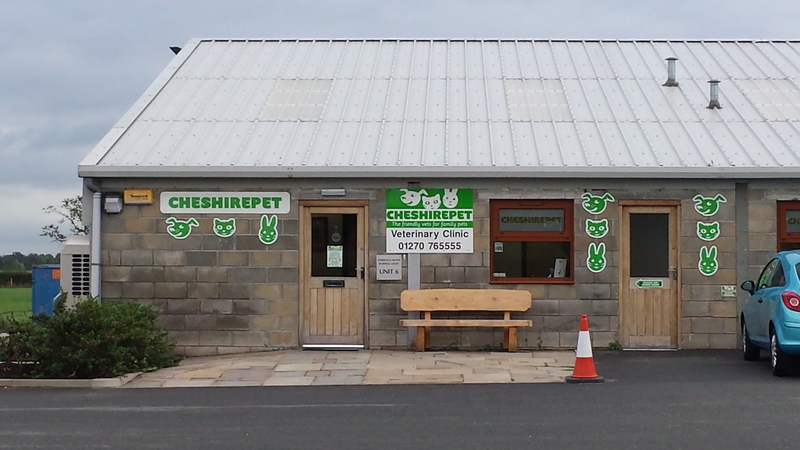 So instead of being on my M6 at 9am, we were at the vets. Luckily there was nothing stuck and it turned out that Guinness had licked and chewed it to death, probably from the stress and pain from his other leg. I dropped him off at home with a wash, some more painkillers and a sock on and we eventually set off. We rocked up in Birmingham at 10.30am, just as the event was starting. No worries! Cannon Hill Park is HUGE! 120 acres! 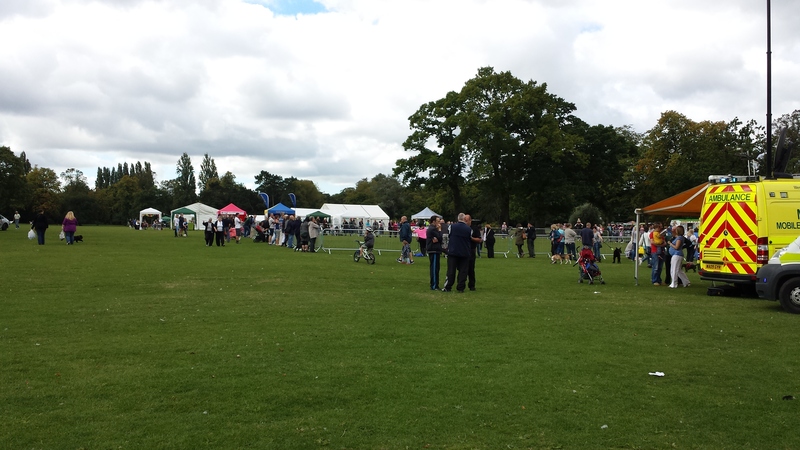 The Bark in the Park event was on a lovely section alongside the boating lake, near to the tennis courts and crazy golf. Dog agility next to tennis courts… genius. There were displays in the main ring throughout the day, starting with Sarah Hanson of Wiggly Dogs talking about training methods and then Paws for Thought Display Team did a very entertaining display with flyball, agility, tricks and fire! Next up it was the turn of Cheshire Canine Services. I slipped into the ring to take some photographs of Mike’s display. He started off with Bob his young springer puppy and talked about foundations, before moving on to show Bill his working springer and Emma came in with her rescue Labrador, Monty. The real highlight was when Mike demonstrated how to work two dogs, using Bill and Alf. He left the two dogs in a sit and turned and walked away. Bill bum shuffled forward. Alf took a step forward. Bill snuck forward. Alf crept forward. Sending shifty glances at each other the whole time. Mike turned around and they sat bolt upright, stark still. The crowd was roaring! You could not have planned it. As the day finished we started to discuss hotels and evening plans. Mike and Emma were driving home, Ash and I had booked into the Travellers Inn nearby and Owain and Katie had grabbed a last minute room in the Birmingham Hotel… the reviews were not great! 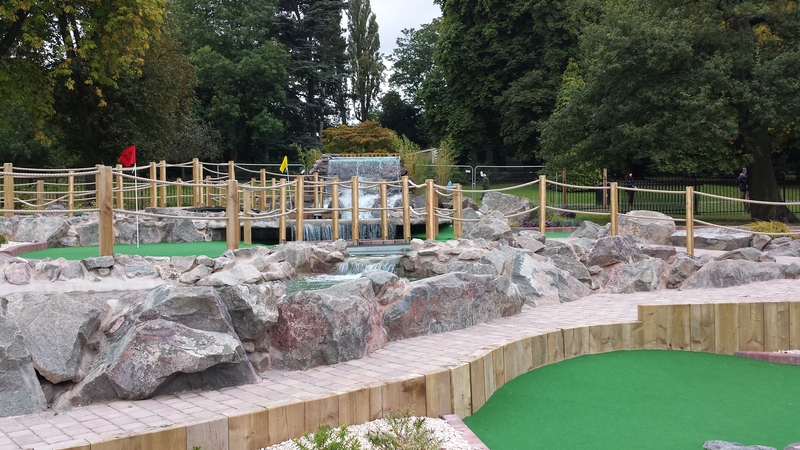 After a moderately quiet day with a bit of rain, Ash and I went to do 18 holes of the 32 hole crazy golf, before heading off to the hotel. There was a fair and square pub just up the road so we wandered off to grab some tea. “We need to go straight on at the round-a-bout and then it’s just on the right”. Round-a-bout… more like a spaghetti junction! After dodging across 12 lanes of traffic we made it! Sunday morning arrived and the first question on everyone’s lips was how Owain and Katie’s hotel was! “We walked in and walked back out”. It turns out they got a refund and stayed at a nearby Holiday Inn, and then their bathroom ceiling leaked so they got a full refund from there! Not bad! The sun was out and Sunday was already feeling a lot busier. 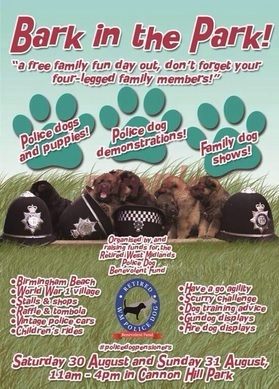 The agility was almost none stop and a lot of police puppy walkers had come for the day so they all had a go. Perfect socialisation for them, walking through a tunnel and across planks on the floor. The Police rocked up to give a very entertaining demo, showing off their detection dogs and some bite work with the up and coming pups, before getting the big boys out. Mr. Angry is obviously quite a well known character in these displays and he has a great entertainment factor during the bite work. The last capture was a dog running out and grabbing him and then dragging him back to the police officers who were hiding behind a shelter. Then when Mr. Angry fought off the officers and tried to escape the dog nailed him. I love watching “attack” dog displays, they are always so entertaining. Rookie mistake alert, I had left my spare memory card in the car! Mike was straight in with his display so I didn’t have chance to photograph it. Instead I sat back and watched. A slightly different display to yesterday, this time Mike used Alfie a little more. As he set Alf up for a blind retrieve he said “Now I don’t know if it’s because he’s ginger… but… he doesn’t have a very good memory”. Just for you Ash! I reckon the two gingers are quite content with their “colour disadvantage”. Emma joined the display and they set Alf and Monty up on retrieve races! Monty grabbed his dummy but then ran over to Mike, bouncing around next to Alf looking very pleased with himself! Poor Emma had to go and fetch her dog from the “head trainer”. As the displays had a break all of a sudden everyone had come to the agility! I had a queue of dogs and people crowding around to watch, cheering on each dog as they bravely made it through the tunnel and over the jumps, quickly followed by their owners. A great success. It was brilliant to meet some twitter people and I finally came face to face with Mark Doggett (@MarkyDoggett) and Dave Hibbert, the event organiser and voice behind @WMP_dog. Plus I also met a fellow Andy Biggar Photography student, Joanna! (@joeynoble). I sat down to grab a quick lunch and heard Dave announce “and the winner of the waggiest tail is definitely Monty!”. I looked up and it was Emma! Way to go Monty. The afternoon was getting hotter and hotter and Ash and Mike both released their legs. Much to Mike’s dismay it was concluded that crocks and socks are not cool! The final demo of the day, Mike and Dave did some bite work with Morgan and Kai. Dave donned the jacket and was adamant that he could do the commentary and take the bites… there were quite a few lines of “So I’m going to try to get away and Kai is….”. We were all impressed with Dave, for a slim bloke he can take quite a pounding from these dogs! Time to go home, Ash and I went back for our second round of Crazy Golf. As Mike drove past he shouted “Whose winning?”. “I am! !” Ash and I said at the said time! It turns out Ash won… twice! A really fun weekend, it was great to meet new people, put faces to twitter profiles and spend a day with friends and dogs! This weekend I went along to the Betley Gundog and Game Fair for the Sunday. I left Guinness at home away from the guns and out of the sun and instead picked up my camera. 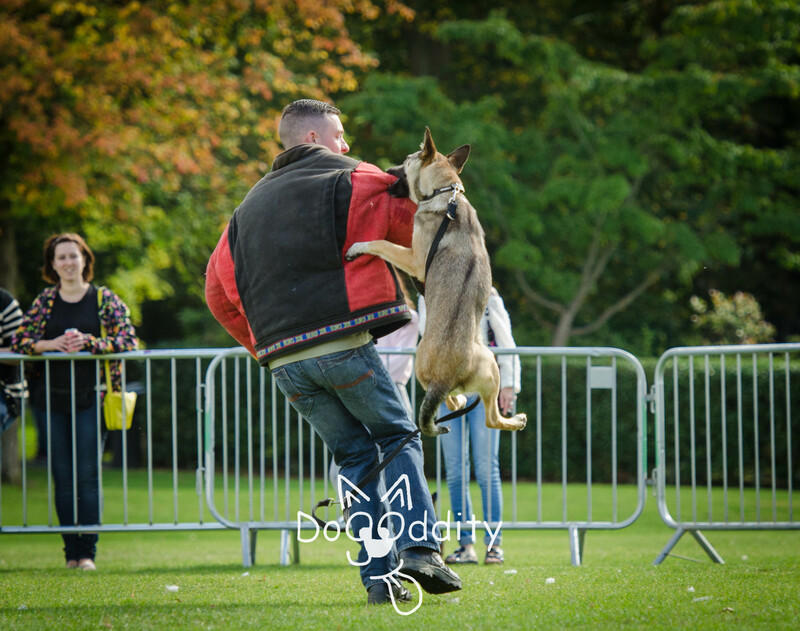 My friend Katie was doing a Flyball Display with her team, the Carry On’s. 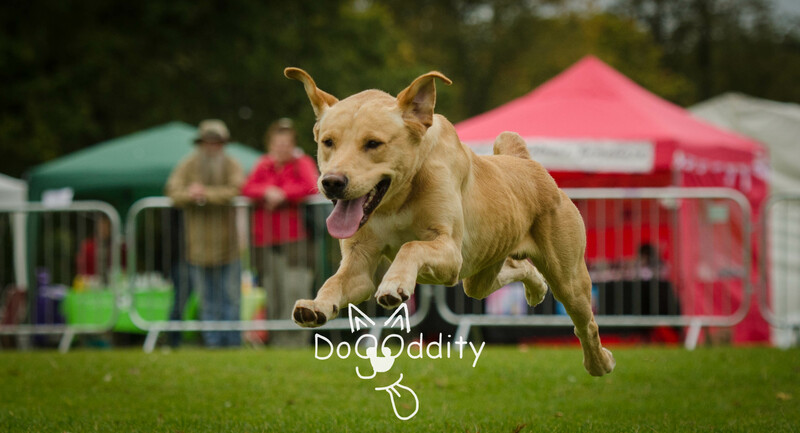 They put on a fabulous display and showed the different parts to Flyball; the starter dogs, the breed dogs, how to do change-overs and then finished off with an exciting race! Next up was a Bird of Prey Display from Rosliston Forestry Centre. Using a few volunteers from the crowd, they had a Barn Owl flying between people and then changed the crowd members and did the same with a young kestrel. The information was really good and it was very easy to listen to. The best part was the Saker Falcon which flew out low over the crowds and round past the stalls, swooping in to try and grab the bait on the long line and then flying out again. It stopped for a break and settled into a tree right above Katie’s head. We didn’t think he was going to come out. 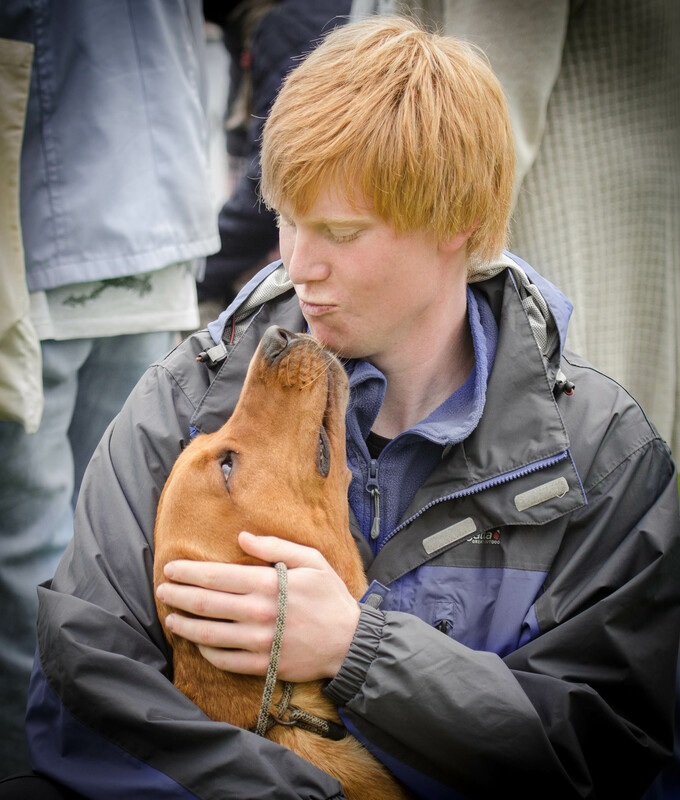 The big star of the day was Andy Cullen MBE, a highly regarded gundog trainer. Andy gave some fantastic advice and information about training dogs and showed off a range of different breeds and their uses. 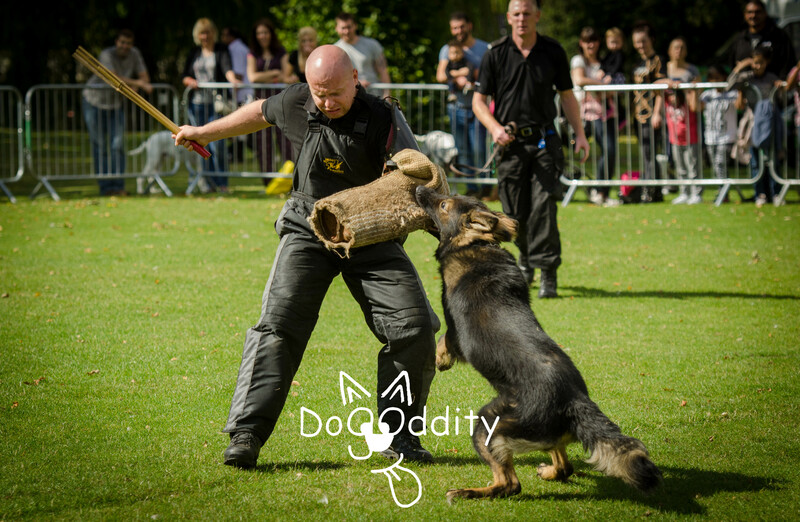 He used quite a lot of young dogs and demonstrated the different levels of training exercises. 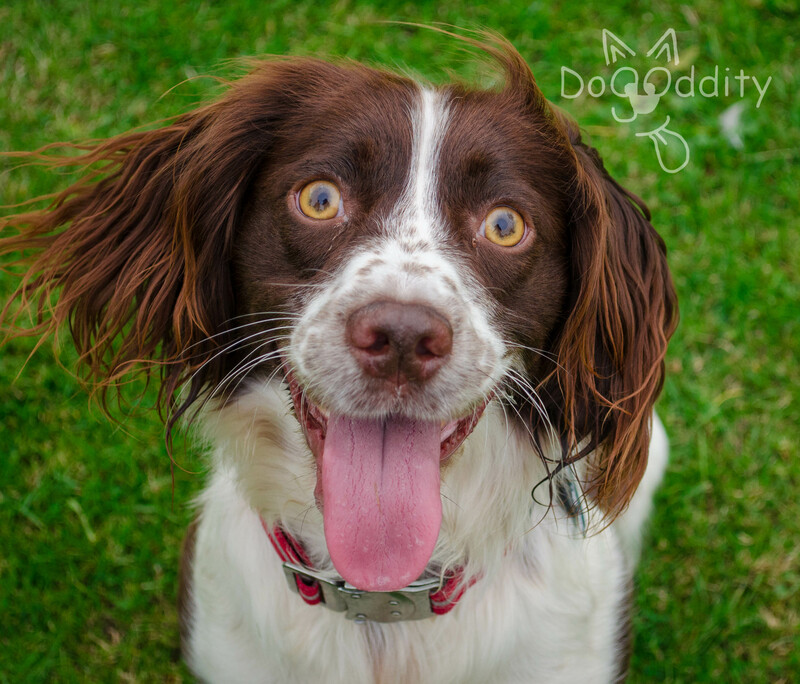 The best moment was seeing his 18 week old Springer Spaniel! Andy talked about puppy training and how important it is to get your foundations right. He emphasised on the importance of positive reinforcement and made a point about not needing to shout or beat your dog to make them listen, but you also don’t need to be silly smoochy either. Just be yourself and reward your dog. 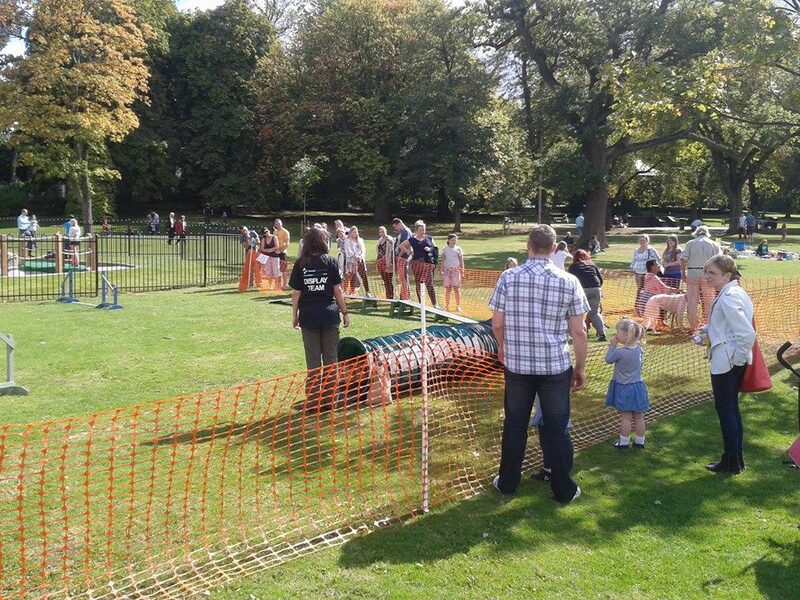 Last but not least was Cheshire Canine Services with a protection dog display. This was really entertaining and had a lot of wow moments. 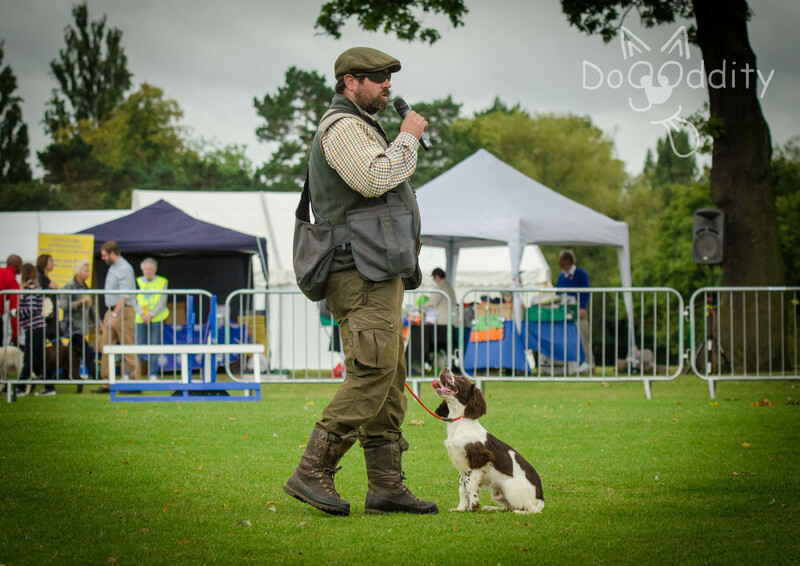 Mike Crawford runs the company and led the display, showing us different stages of training a protection dog. Again their display consisted of young dogs and it highlighted the use of positive reinforcement in their training, especially play rewards. They did exercises with bite sleeves, an attacker with a weapon, crowd control and chase and detain. The pièce de résistance was a mock terrorist attack and one of the dogs jumped into a caravan to detain an attacker. Amazing! Around the fair there were a handful of stalls with the usual tweed gundog trainer clothing, dog toys and accessories. There were also a few have a go stands such as archery, clay and rifles shooting. Over in the distance in a different ring Terrier and Lurcher judging was taking place as well as ferret racing, although I walked away after watching them swinging the ferrets around like stuffed toys. The Scurries competition was a trek away down the hill and Andy Biggar, top Dog Photographer, had his own set up for special offer sessions. I managed to catch him for 5 minutes to say hello! (Very exciting). The displays were on twice a day and quickly led on from each other so there was no sitting around waiting. It was a shame that everything was so spread out as it felt quiet around the main arena despite there being quite a lot of people about. The show was also a little sparse on stalls. However I had a really enjoyable day and there’s plenty of worse things to be doing on a hot, sunny day! It was lovely to see some friends and get some good photography practise. There was a good general emphasis on positive reinforcement in all of the displays and I hope some people took note of this (such as the guy I saw pinning his dog down).